Home Jobs in Airtel Jobs in Any Graduate Jobs in Chennai Jobs in Kochi Jobs in UG Walk-In Jobs Bharti Airtel Limited Career Urgent Walk-in || DATA FIELD ENGINEER @Chennai -Apply Now. 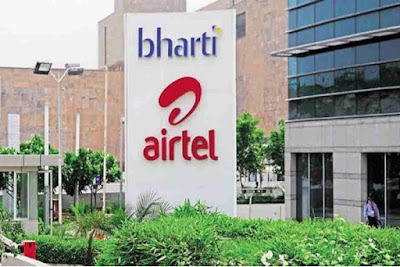 Bharti Airtel Limited Career Urgent Walk-in || DATA FIELD ENGINEER @Chennai -Apply Now. Bharti Airtel Limited Career Jobs Opening 2018-2019 DATA FIELD ENGINEER Posts Download Application at www.airtel.com. Bharti Airtel Limited Job has Recently Announced 2018 regarding DATA FIELD ENGINEER & Various Job Openings Interested and Eligible Candidates can Download Application Through Official website. Bharti Airtel Limited Career Urgent Walk-in || DATA FIELD ENGINEER @Chennai, Kochi- Apply Now. We are conducting a Walk in Interviews for Fresher & Experience candidate at our Chennai Office for Data Field Engineer positions. Education Qualification: B.E/ B.Tech / Diploma (E&C). 1-2 Years of experience in telecom industry . Hands on experience in IP technology to handle Ethernet circuits. Hands on experience in Data Products (PRI / ILP / LL / MPLS / IPLC) including high bandwidth Testing & troubleshooting. Regular interaction with Business team and other cross functional team to fulfill the customer requirement. Person should willing to work 24/7 and night / Sunday shifts. Timely delivery (with in SLA) of Service Delivery and service assurance.